The orthodontic and cosmetic dentistry fields have come a long way even in the last five years. What was in back in the day is nothing more than a memory today. We’re in the business of straightening teeth and are always keeping our ears and eyes out for the latest techniques and procedures. One of the most advanced orthodontic and cosmetic dentistry treatments available today is the unique Invisalign system. It’s taken the dental industry by storm as more and more people are ditching metal braces and opting for this fantastic treatment. It’s the preferred teeth-straightening procedure for teens and adults, so you know you’re in great company. Deciding whether or not Invisalign is right for you isn’t a quick process, but if you’re eligible for treatment, there are some things you need to know before choosing Invisalign. At Robison Dental Group in Canton, MI, we want you to know ahead of time what treatment will involve, and how best to prepare. Invisalign – Yay or Nay? “Is Invisalign right for me?” It’s what countless patients ask themselves. Though it has become one of the most preferred ways to straighten teeth, it isn’t right for everyone. Why? Usually, the main culprit is a patient’s bite. It’s important to note that Invisalign is used for cosmetic purposes. If you have a bite that’s causing problems, Invisalign may not be compatible with your situation. Our cosmetic dentist will know the answer for sure once your mouth is thoroughly inspected. It isn’t just bite problems that can derail the possibility of receiving Invisalign treatment. A lot of patients discover that there is a lot of upkeep and responsibility falls solely on their shoulders. Yes, it offers many beneficial alternatives over traditional metal braces, but unlike braces, you have the power to straighten whenever you want. How much time you spend receiving treatment is entirely up to you and how closely you’re following your regimen. 1. Prepare to wear your aligners for a prolonged period of time. You must be able to commit to 22 hours of wear and changing aligners every two weeks. 2. Embrace that strange, straightening feeling. Your teeth are shifting, which is a good thing. You may experience some tooth sensitivity and pain at first, but it should go away after a couple days. 3. Perfect your brushing and flossing regimen. Trays can be a breeding ground for bacteria to grow, so brushing and flossing is vital. 4. Avoid sugary foods and drinks like the plague. We all know the horror sugary treats can cause to your teeth, but if any sugar content is left behind in your trays, it can stain your teeth. Remember, the pace of your treatment and its success is dependent on you. By being proactive in your treatment, you’ll see results that will leave you breathless. If you think you may need Invisalign, make an appointment with Dr. J.D. Robison. He’s the dentist Canton, MI residents can trust to get their smiles looking radiant. We’re proud to extend service to residents in Westland, Livonia, Plymouth, Salem and beyond. 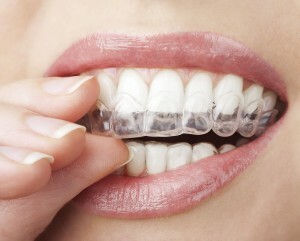 See if Invisalign is right for you!